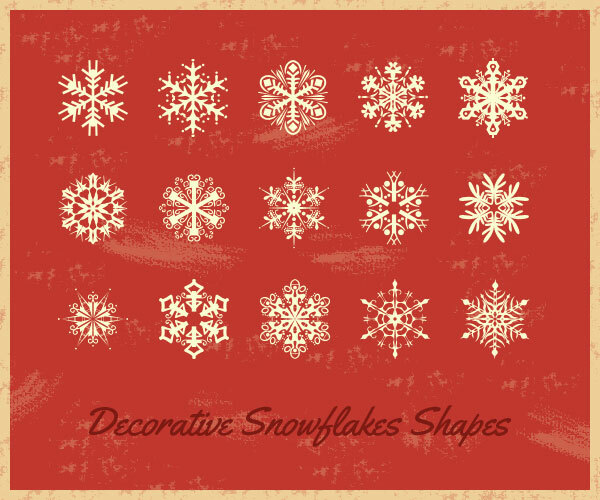 We created a set of 15 Decorative Snowflakes Shapes (CSH) ideal to complete your Christmas vector design with distinctive and original snowflakes. This file are exclusively for AdobeTutorialz readers, and are delivered in Custom shapes for Adobe Photoshop CS* .CSH format. You can edit and use this file for your individual or commercial projects. You should not upload the downloaded source files on your server and redistribute them as your own either in part or whole. If you want to share this .CSH file, you can link back to this article page or location of this article. License: Free for all. For personal and commercial purposes. Little tutorial to explain how to load Custom Shapes here.